Welcome to the Overkill supercharger system for your 2012 to 2015 Camaro 3.6 V6. This year range of Camaro has the "LFX" code of 3.6 Direct Injection engine. There's a lot of information packaged into this page so keep scrolling down for more information. 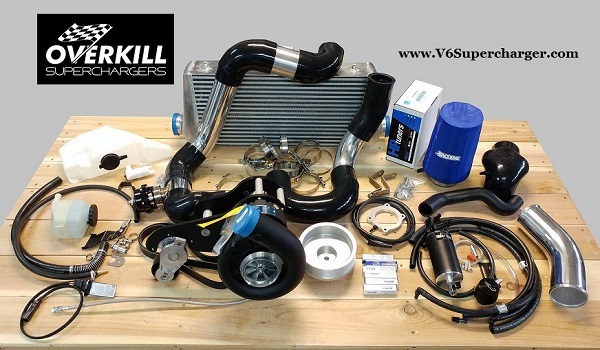 The Overkill Vortech supercharger system solves the problem on how you make V8-like horsepower with your 3.6 V6. The simple concept of pressurizing airflow with a supercharger works great with these Direct Injection V6s and we're proud to be the only company with a bolt on system. Our base kit will typically provide gains of 100-125 horsepower, while Stage 2 is the path of a reliable 500+ horsepower 3.6 V6. This system is 100% bolt on installation you can do in a weekend. You are not required to have any other modifications on your vehicle. 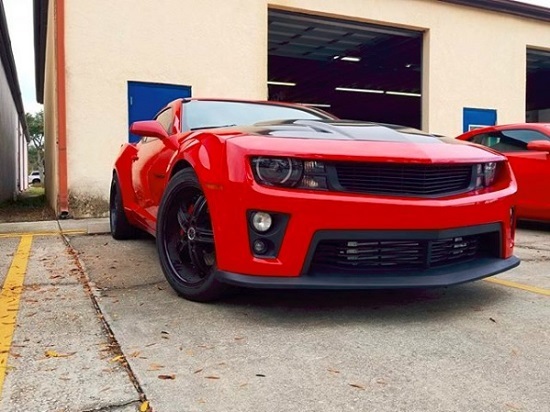 Every requirement to install a supercharger on your Camaro V6 is included in this kit, including going above the normal expectation with our catch can system to improve engine operation and lifespan, and our all inclusive tuning service. Overkill Tuning Service with HP Tuner Suite - Programs your engine and transmission computers with Overkill supercharged specific tuning. Includes a custom tuning service to dial in your car with your setup, all of which can be performed with your laptop or windows tablet and through email. 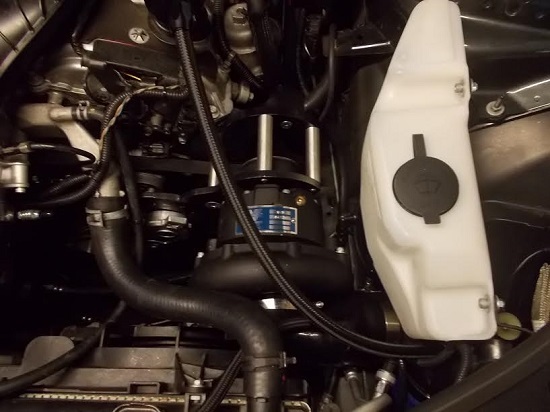 Signature Series Catch Can System - Effectively removes oil vapors, managed crankcase ventilation with blow-through supercharging, greatly improves engine life, designed specifically to work with our supercharger system! 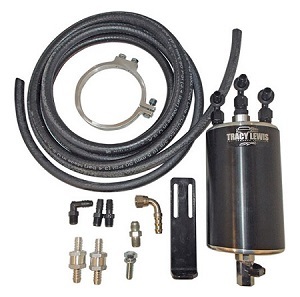 Supporting Items such as a power steering reservoir relocation kit, windshield washer fluid reservoir relocation kit, colder spark plugs, 3 bar MAP sensor, CNC aluminum MAF sensor housing with airflow straightener screen, and more. Kits start at $5999 for existing Overkill Tune Users, $6499 and up to purchase with Overkill Tuning with HP Tuner Suite! 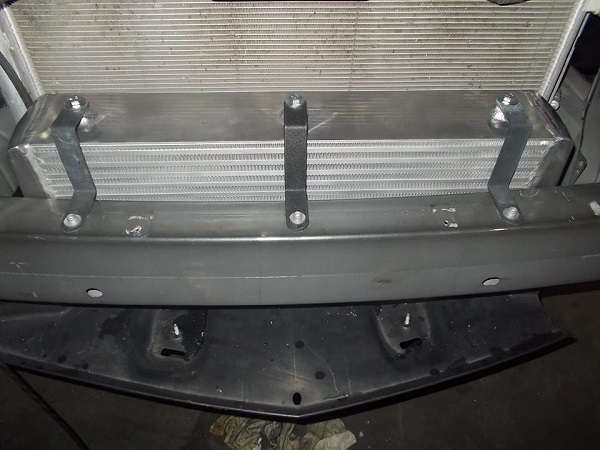 Our base kits can be installed on a completely factory 3.6 V6 and see a 100 horsepower gain. You do not need any modifications on your vehicle to install Stage 1, comes with everything you need. The kit will run 8-9psi of boost. Aftermarket exhaust work is beneficial but not required. It's recommended to run synthetic engine oil only and consider installing 6 new ignition coils if you have higher mileage, the kit comes with new spark plugs. 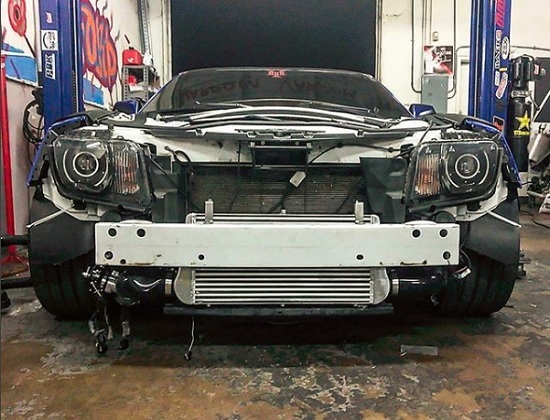 With Stage 1, you'll be at around 350-370 wheel horsepower on our chassis dyno (factory is 250-260). The path to 500 horsepower 3.6 V6 is with our Stage 2 upgrade kit. The Stage 2 kit builds on the Overkill supercharger kit with a little more boost, a fuel tank fuel pump upgrade and a set of larger DI fuel injectors. 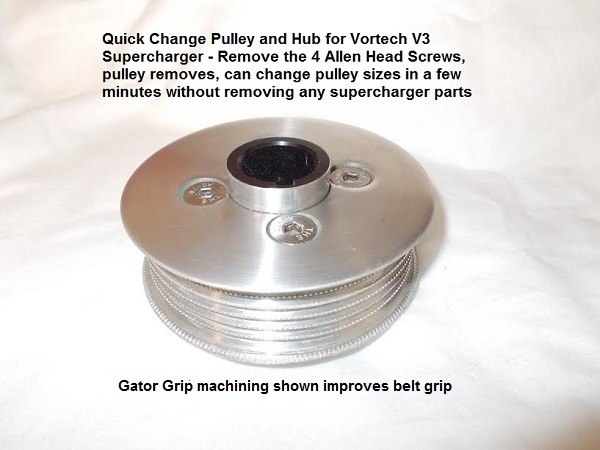 The pulley gets swapped to our 3.4" size providing 10-11psi of boost. Larger fuel injectors provide more fuel capacity and improve the fuel injection timing, important with direct injection engines. The fuel pump is an OEM quality direct replacement to the factory V6 fuel pump and will provide sufficient fuel flow to the engine to run more boost. The fuel tank must be dropped for installation, while the fuel injectors can be swapped by removing the intake manifold and doing some minor grinding to the aluminum exterior of the cylinder heads to provide clearance to remove the fuel rails; not difficult, but an advance installation for driveway installers. Once installed we consistently dyno around 420-425 wheel horsepower on our chassis dyno, which is at the 500 horsepower at the engine even with the most conservative calculations. Maintains excellent drivability and is reliabile for daily use on 91+ octane. Aftermarket exhaust work is recommended for Stage 2 installation. 2013-2015 owners, don't forget to consider the optional but highly recommended plastic valve cover. Replacing your aluminum 13-15 valve cover with this 08-12 valve cover with a removable PCV valve allows you to use our high flow PCV barb, which greatly improves the efficiency of the catch can system and prevents positive crankcase pressure buildup. Comes with new seals, ready to install. Note it's black, so your valve covers will be mismatched in colour, but you can always paint the other side black, or this side aluminum, or get a plastic cover for the drivers side, or just close the hood and don't fuss about it! Question: What Power Gains Are Expected? Answer: Stage 1 adds roughly 100 horsepower measured on a chassis dyno at the wheels (about 125 at the engine), so essentially your 320 horsepower engine from the factory rating will become a 450 engine, with no other changes. Stage 2 makes 390-400 at the wheels, a 130-140 horsepower gain. Stage 3 makes 410-430 at the wheels, a 160-180 horsepower gain. 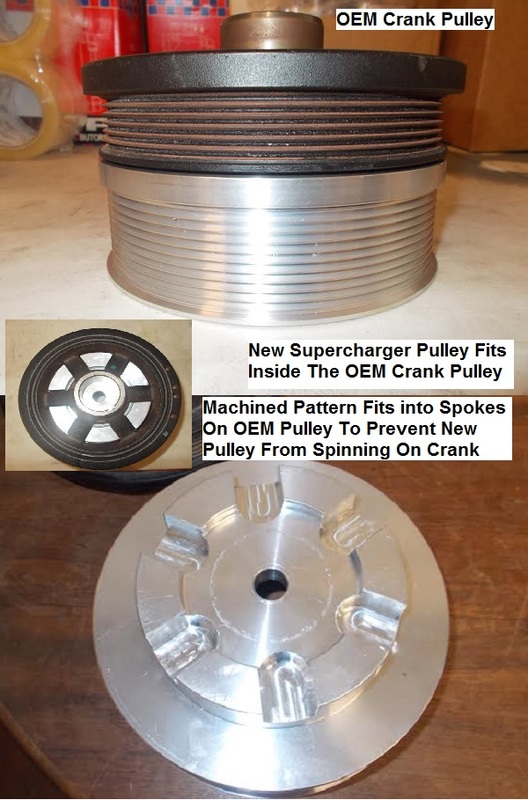 Additional power can be made with methanol injection and a smaller supercharger pulley. Question: Do I Need To Do Anything To The Car First Before Installing? Answer: Everything that's needed to install the supercharger is included in the supercharger kit. On Overkill's personal 2010 Cadillac CTS V6, I have no other modifications done to the vehicle, only what is included in the kit, so no you don't need to first do an exhaust system or anything drastic. That said, there are some recommendations. First, if you have higher mileage, consider doing a full set of ignition coils, as the factory coils have been known to wear out and their proper performance will be of greater importance with the supercharger kit; you can search for "D515C" on ebay, amazon or rock auto and should be able to get a full set of AC Delco coils for $200-225. 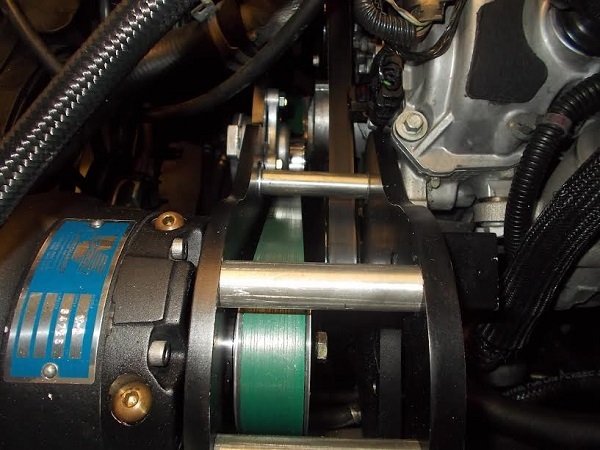 Second is get yourself a replacement serpentine belt for the accessory system if you're higher mileage; while not impossible to change after the supercharger install, much easier to do it now before the install. Lastly is you should be all up to date on your servicing, including changing your transmission oil and differential oil following "severe" service intervals, which typically call for replacement every 50k miles. For your engine oil, it is very highly recommended that you use synthetic oil if you're not already. You're absolutely 100% required to run 91 octane gasoline or more. Question: How hard is it to install? Answer: This is a pretty straight forward bolt on system. Lots of loosening and tightening bolts, lots of paying attention to detail, very little cutting, very little fabrication. All of the works is done either from the top of the engine bay or in the front bumper area, nothing on your back under the vehicle. A professional shop can install this in 6-8 hours. A good DIYer can get this done in a weekend. Click here or the link above to view the installation instructions to get an idea of how it goes together . Question: How Reliable Is This Setup? Answer: The 3.6 engine has proven itself durable on a supercharged setup. We've been supercharging the 3.6 for over 2 years and know the limits of boost, fuel capacity, ideal air/fuel mixture, spark timing etc, to build durable and lasting setups. The supercharger system is also proven reliable; we've engineered durable custom components and matched them with top quality off-the-shelf components when required. 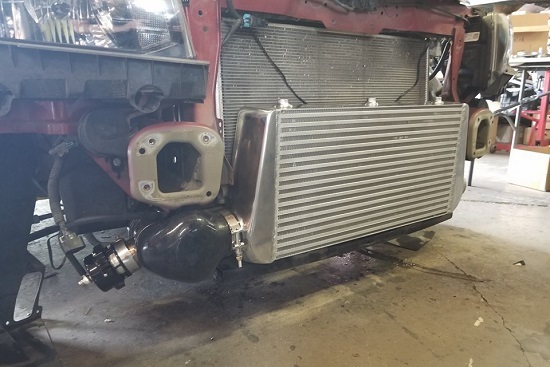 Aside from oil changes on the Vortech, our goal is to have you install this system and enjoy it without the need for constant attention to any component. You can anticipate being able to daily drive the setup. Question: Is there ANYTHING Special To Know About This Setup? Answer: Due to the construction tolerances, Vortech does not recommend cold starting the Vortech when temperatures are below 25*F (-4*C). If you live in northern climates where temperatures get below freezing in winter, you'll want to either store your vehicle in a heated garage, use a heat blanket on the Vortech to warm it up before starting the engine, or simply remove the supercharger belt and drive the car normally without the supercharger engaged (yes it will run just fine like this) until outside temperatures permit you to put it back on. Question: I Already Have A Catch Can, Can I Buy This Kit Without One? Answer: Only if you have a Tracy Lewis Signature Series can or an Elite E2X can with 3 ports. The catch can must be set up as we specify for proper operation. 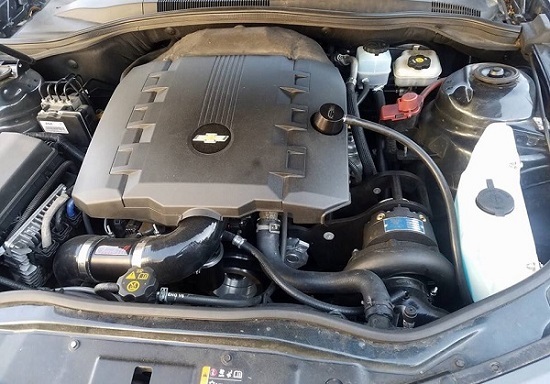 If you have a substandard performing can or don't set up the system as we've designed it, your supercharger and intercooler will get nasty oil contamination, affecting their performance and life span. If you have the two cans mentioned, contact us to receive a discounted kit without the catch can. Question: What Comes In This Kit?